You want your customers to pay right? But therefore you will need a proper invoice to send them. 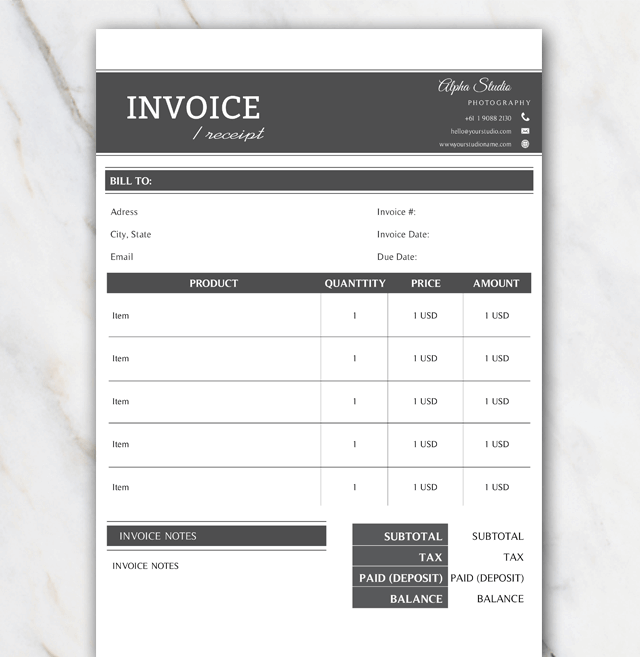 Have a look at this invoice template for Word. Just download the Word file and edit the information to your company information. Save and send to your customer. Really easy right? Don't like the way this invoice template is set up? Have a look at the other invoice templates, there might be one you think is just perfect for you company.